First you need to define the gestures that should be captured in the application later. For this reason there’s the GestureBuilder delivered with the Android SDK. You can find the app in the samples directory of your android sdk – e.g. 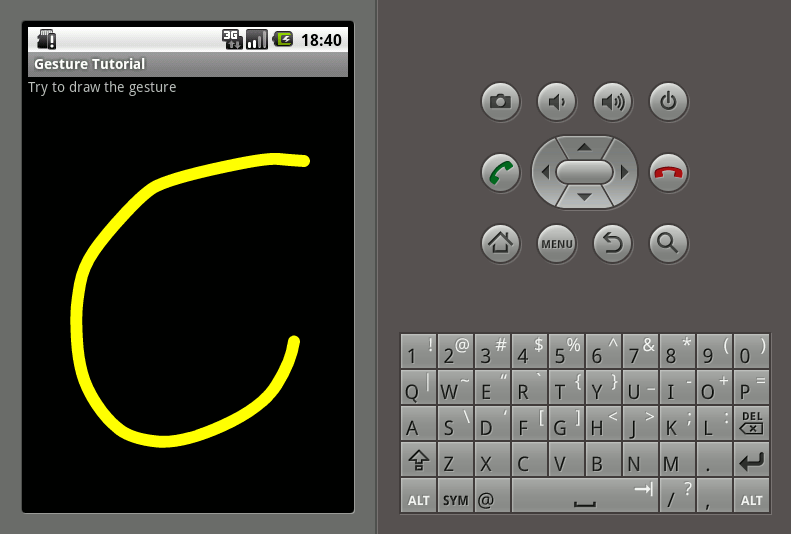 <installation-directory>/android-sdk-linux_86/platforms/android-2.1/samples/GestureBuilder. 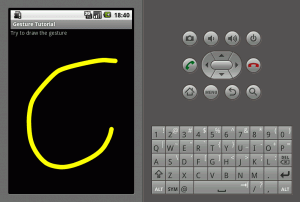 Run the gesture builder app on the android emulator. It is important to run the app with a SD card connected – if you need more information on creating virtual SD cards – take a look at this article. The important thing is to start the emulator with -sdcard <path-to-virtual-sdcard>/<sdcard-image>. 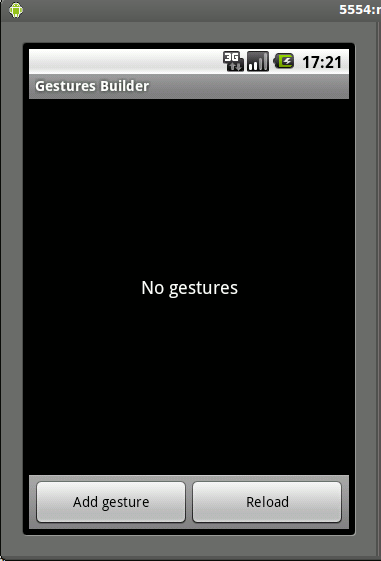 The app needs the sdcard to store the captured gestures on it. 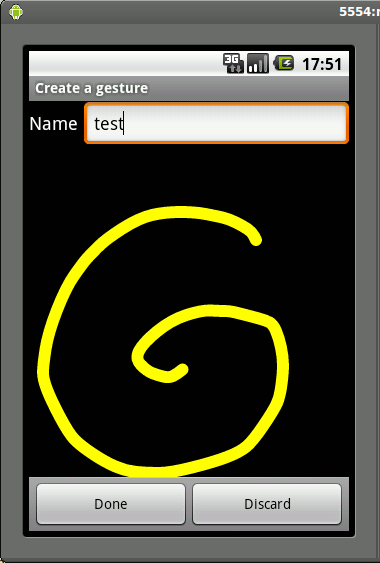 Running the GestureBuilder you need to add a new gesture – for this tutorial I’m capturing one gesture by drawing a spiral and naming it to “test”. 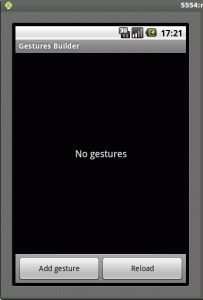 Copy the gesture library from the SD card – e.g. by opening the view Android File Explorer in Eclipse and save it somewhere for now. 2015-03-03: Table of contents added. This entry was posted on Friday, May 14th, 2010 at 6:25 am	and is filed under Android. You can follow any responses to this entry through the RSS 2.0 feed. You can skip to the end and leave a response. Pinging is currently not allowed. from the emulator? or an app on your smartphone? Can you tell me how these Gestures are saved in the SD card. I mean the piece of code which does it.? I’m a newbie and hope you guys could bear with me. Thanks for the awesome stuffs. It truly helps a lot. I try to run this code, but encountered one problem. Could anyone here light me up? did you create the directory “res/raw” and did you copy your captured gesture library named “gesture” to this directory as described above? 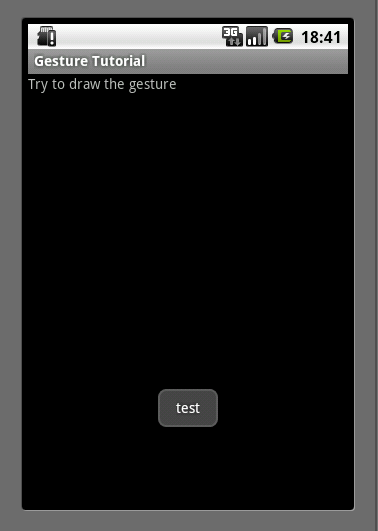 I have added the gesture overlay in a linear layout with a imageView and a gessture overlay. It is not detecting in Android 2.2 but working fine Android 3.0 Please suggest necessary solution. i want to recognize the gesture when user click on the button. Is there any good answer to this Stackoverflow question related to Gesture? what error occurs when running the examples with lollipop in your environment?